Great layout. I know you'll always be happy to have recorded this. What a wonderful layout Melissa. 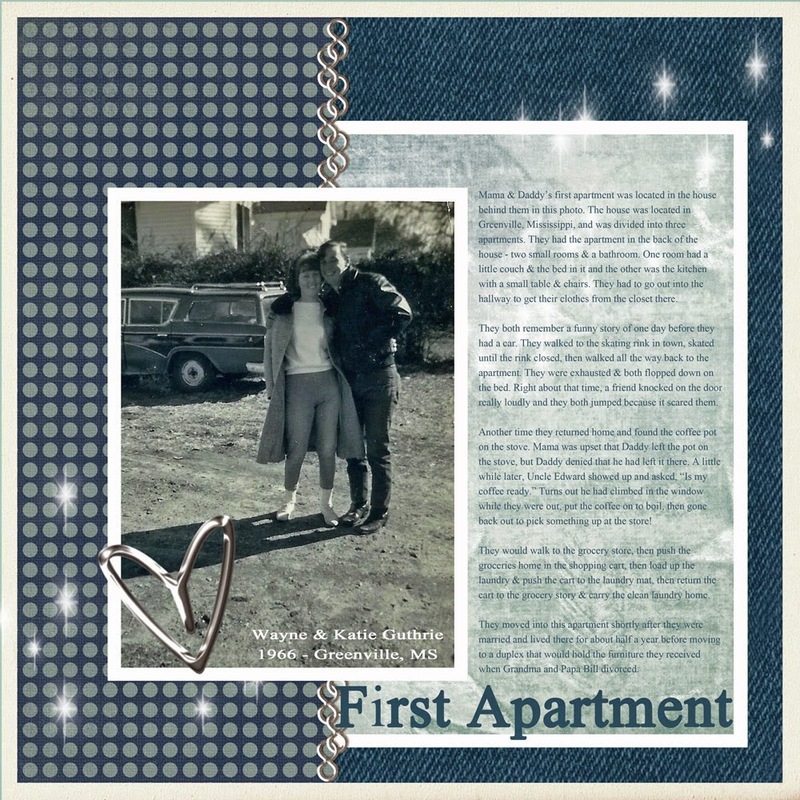 I'm so glad you got their memories about their first apartment and scrapped that SUPER photo! Look at the clothes and the car behind them. So very interesting! it's good to get these stories down, lovely photo of your parents. I saw this in the Inspired Gallery and immediately thought "Wow! You look like your Mama!" This is a fabulous layout, and what a wonderful story to have recorded! That's a great page and a photo so redolent of its time. I do admire your asking your parents for their memories and your recoding of them. Makes me wonder if I shouldn't do some pages about the first place Himself and me lived in!